• Linemen block down to nearest man inside, if no one there go to pass protection. • Inside RB goes down the back side of the LOS bowing gradually back to cut off pursuit and pass blocks. 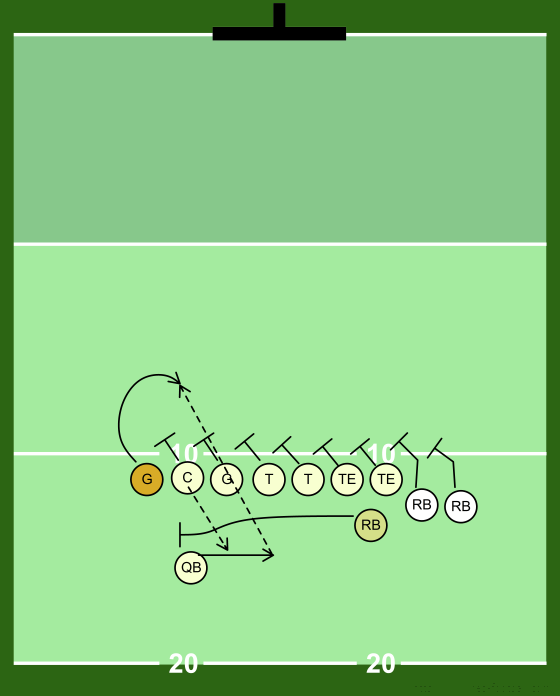 • QB catches the snap on the run and runs for 2-3 yards, pulls up and throws back to the weak side guard. This is about a 7 yard pass. There is no hesitation. • It is amazing how nobody covers the WSG.